It's a game known by many names: table hockey, bubble hockey, rod hockey. 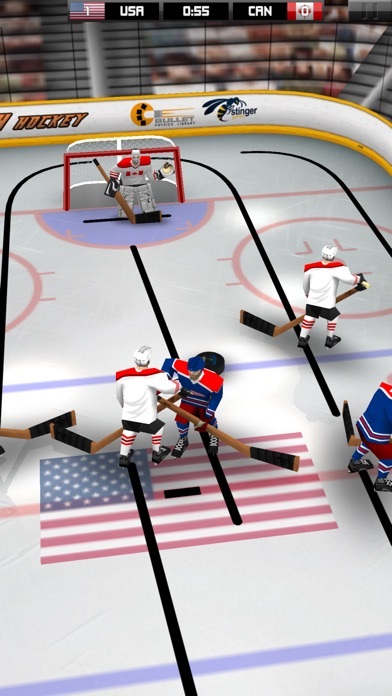 Real 3D table hockey powered by Bullet Physics. Experience the passion of playing table hockey on your iPhone and iPod Touch. 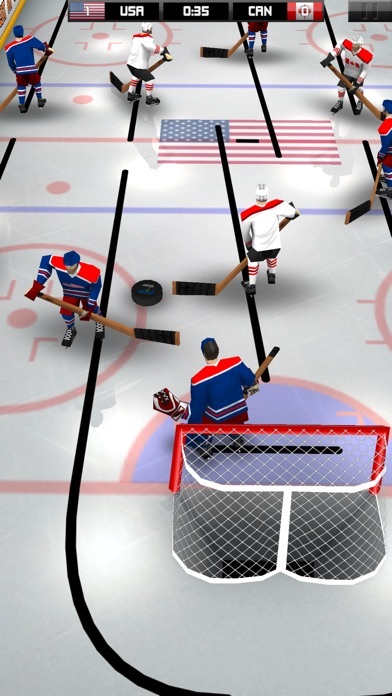 Great 3D graphics, real 3D physics powered by the Bullet Physics, simple control just like playing real table hockey. NOTE: Recommend beginners start with One Touch control, which is accessible in the Options... Controls screen. Either from the main menu or the pause menu. NOTE: Multiplayer, recommend using Wifi whenever possible when playing against friends as it has much less latency than Bluetooth. • Play against CPU players. • Play against your friends, using Wifi or Bluetooth. • Tournament to play against rival nations. • Three Skills mini-games to improve your skills and compete. • Hardest Shot to work on your slap shot. • Sniper to improve your one timer. • Shootout to be able to beat goalies 1-on-1. 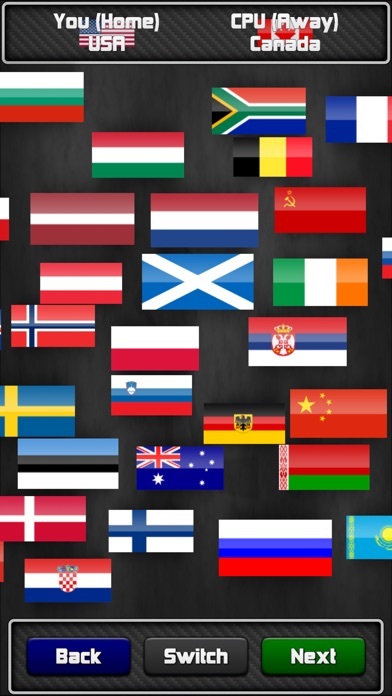 • 38 international teams from around the world, plus 1 historical team that is a MUST HAVE for all table/bubble hockey. • Create and customize your own teams. Including the ability to change the jerseys and paste your own logos onto your character from your iPhone or iPod Touch Photo Library. • Stat tracking keeps track of your STHL career. • Earn Game Center Achievements based on your stats and performance. • Ability to choose from different rink layouts and rules. • A quick tutorial to show you how to play the game.